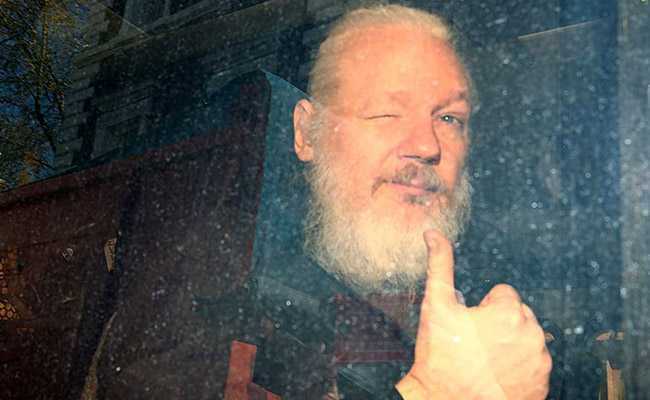 Julian Assange was arrested and carried out of Ecuador's embassy in London on Thursday after President Lenin Moreno removed his diplomatic protection following seven years of self-imposed exile in the building. Ecuador said on Monday it has suffered 40 million cyber-attacks on the webpages of public institutions since stripping Wikileaks founder Julian Assange of political asylum. Patricio Real, Ecuador's deputy minister for information and communication technologies, said the attacks, which began on Thursday, had "principally come from the United States, Brazil, Holland, Germany, Romania, France, Austria and the United Kingdom," as well as from the South American country itself. Assange was arrested and carried out of Ecuador's embassy in London on Thursday after President Lenin Moreno removed his diplomatic protection following seven years of self-imposed exile in the building. Moreno accused Assange of interfering in the "processes of other states" and "spying." As well as overturning Assange's asylum status, Ecuador stripped him of the nationality he was given in 2017 under the government of Moreno's predecessor Rafael Correa. Javier Jara, undersecretary of the electronic government department of the telecommunications ministry, said the country had suffered "volumetric attacks" that blocked access to the internet following "threats from those groups linked to Julian Assange." Hardest-hit were the foreign ministry, the central bank, the president's office, the internal revenue service, and several ministries and universities. However none of those institutions reported either the theft of information or the elimination of data.